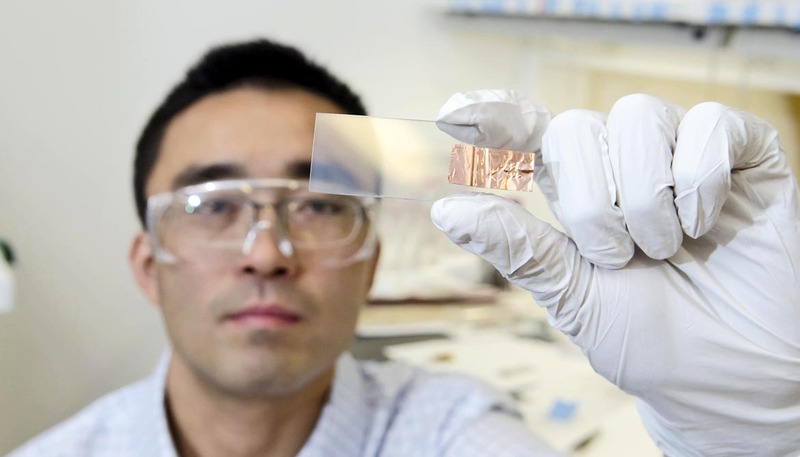 Inspired by a chemical process found in leaves, scientists have developed an electrically conductive film that could help pave the way for devices capable of harnessing sunlight to split water into hydrogen fuel. 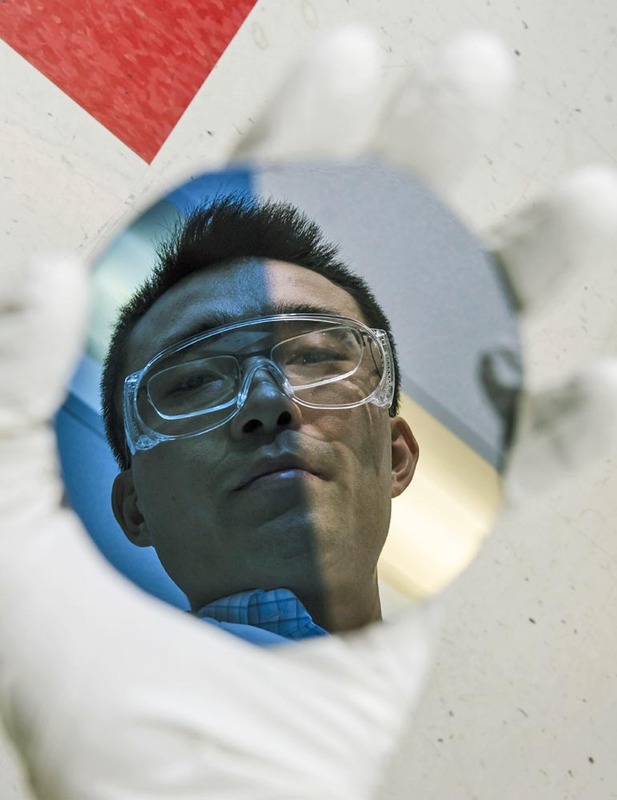 When applied to semiconducting materials such as silicon, the nickel oxide film prevents rust buildup and facilitates an important chemical process in the solar-driven production of fuels such as methane or hydrogen. “We have developed a new type of protective coating that enables a key process in the solar-driven production of fuels to be performed with record efficiency, stability, and effectiveness, and in a system that is intrinsically safe and does not produce explosive mixtures of hydrogen and oxygen,” says Nate Lewis, professor of chemistry at Caltech and a coauthor of a new study in the Proceedings of the National Academy of Sciences. The development could help lead to safe, efficient artificial photosynthetic systems—also called solar-fuel generators or “artificial leaves”—that replicate the natural process of photosynthesis that plants use to convert sunlight, water, and carbon dioxide into oxygen and fuel in the form of carbohydrates, or sugars. The artificial leaf consists of three main components: two electrodes—a photoanode and a photocathode—and a membrane. The photoanode uses sunlight to oxidize water molecules to generate oxygen gas, protons, and electrons, while the photocathode recombines the protons and electrons to form hydrogen gas. The membrane, which is typically made of plastic, keeps the two gases separate in order to eliminate any possibility of an explosion, and lets the gas be collected under pressure to safely push it into a pipeline. Scientists have tried building the electrodes out of common semiconductors such as silicon or gallium arsenide—which absorb light and are also used in solar panels—but a major problem is that these materials develop an oxide layer (that is, rust) when exposed to water. Lewis and other scientists have experimented with creating protective coatings for the electrodes, but all previous attempts have failed for various reasons. “You want the coating to be many things: chemically compatible with the semiconductor it’s trying to protect, impermeable to water, electrically conductive, highly transparent to incoming light, and highly catalytic for the reaction to make oxygen and fuels,” says Lewis, scientific director of Caltech’s Joint Center for Artificial Photosynthesis (JCAP), where part of the research took place. 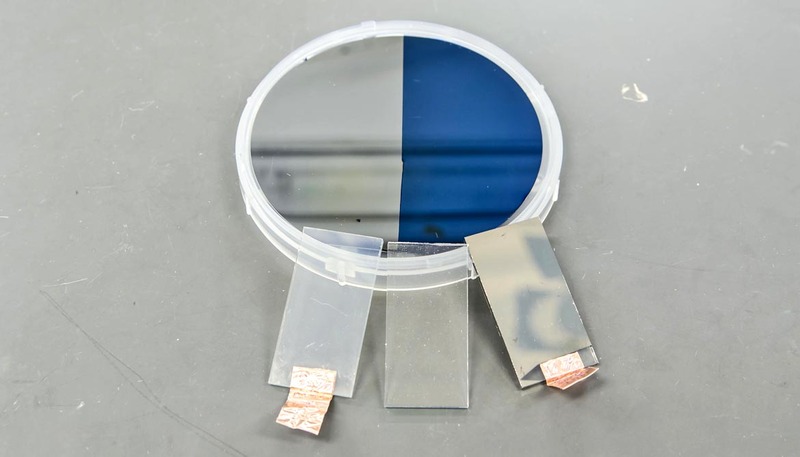 The team has shown that its nickel oxide film is compatible with many different kinds of semiconductor materials, including silicon, indium phosphide, and cadmium telluride. 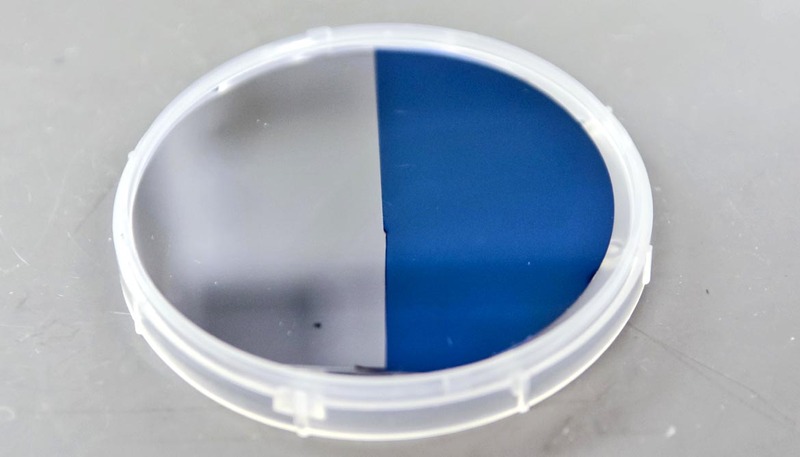 When applied to photoanodes, the nickel oxide film far exceeded the performance of other similar films—including one that Lewis’s group created just last year. That film was more complicated—it consisted of two layers versus one and used as its main ingredient titanium dioxide (TiO2, also known as titania), a naturally occurring compound that is also used to make sunscreens, toothpastes, and white paint. “After watching the photoanodes run at record performance without any noticeable degradation for 24 hours, and then 100 hours, and then 500 hours, I knew we had done what scientists had failed to do before,” says Ke Sun, a postdoc in Lewis’s lab and the first author of the new study. Lewis’s team developed a technique for creating the nickel oxide film that involves smashing atoms of argon into a pellet of nickel atoms at high speeds, in an oxygen-rich environment. “The nickel fragments that sputter off of the pellet react with the oxygen atoms to produce an oxidized form of nickel that gets deposited onto the semiconductor,” Lewis says. Lewis cautions that scientists are still a long way off from developing a commercial product that can convert sunlight into fuel. Other components of the system, such as the photocathode, will also need to be perfected. Additional authors of the paper contributed from Caltech; University of Southampton; and King Abdullah University in Saudi Arabia. Funding came from the Office of Science at the US Department of Energy, the National Science Foundation, the Beckman Institute, and the Gordon and Betty Moore Foundation.